You’re invited to a Japanese tea party including as traditional geisha, an invitation you can’t refuse as tea parties like these are becoming rare. So if a Japanese tea party like this is still on your bucket list, this is your chance. The tea party takes place in a typical Japanese garden and while you’re enjoying your tea, you’ll have the chance to leave the party richer than ever as you’ll get the chance to win either the Wonder Jackpot or the bigger Mega Wonder Jackpot. Both jackpots are progressive and also known from the Icy Wonders and Tiki Wonders as all three jackpots are sharing these same jackpots resulting in a faster grow than usual. I can imagine you have absolutely no clue who or what a geisha is, and to be honest I didn’t either until I was introduced to Geisha Wonders. As we are talking about a Japanese themed video slot, you have the first clue in hand, but who isn’t familiar with the Japanese culture will probably still have a big question mark flying around the geisha. Well a geisha, well-known for her entertaining qualities, is a very well-paid Japanese hostess who’s dancing and performing during tea parties, for large audiences or individual businessmen. The tea party itself becomes a whole ritual thanks to the geisha and it also seems she’s an outstanding discussion partner. The perfect hostess, but not as familiar anymore as she used to be as her profession becomes more rarely these days. So it’s extra nice that Netent dedicates one of the Wonders video slots to the geisha as a tribute and you’re invited to join the party. 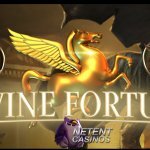 Just like Icy Wonders and Tiki Wonders, you can play with a minimum bet of 0.01 and a maximum bet of 60.00, depending on the currency of the Netent Casino you choose to play. However if you decide to play with all 30 bet lines, the minimum bet will be 0.30. 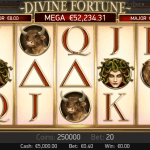 A decision to play with a higher level going up to level 4 and in a different coin value, starting from 0.01 and up to 0.50, can result in a maximum bet of 60.00. Everything that’s involved in a Japanese tea party can be found on the five reels as for example the Maneki Neko, the lucky cat, the teapot, lanterns and of course the geisha herself. Something, or somebody, typical Japanese is Budai, the Laughing Buddha, admired for his happiness, plenitude, and wisdom of contentment. Some belief that rubbing his belly brings wealth, good luck and prosperity. So you do understand this bringer of luck couldn’t be ignored by the Netent designers. Just as the ancient Japanese garden, so familiar by their lanterns, stones, statues and the always beautiful cherry blossoms. All these typical Japanese items can be found back on the reels just as the Wild, Scatter and the Jackpot Stars. This combined with an oriental tune played in the background, makes Geisha Wonders highly recommended. 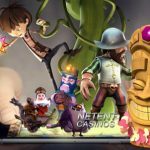 But not only because of the design, also because this Netent video slot is provided with two featured symbols, the Wild and Scatter. Both will be responsible for extra winnings as the Wild, the Laughing Buddha, is the wild symbol which will substitute for all symbols excluding the scattered Geisha symbol and the yellow Jackpot Stars. The Geisha herself act as Scatter and will award 10, 20 or 30 Free Spins, with a x2 Multiplier, when three, four or five Scatters appear respectively. You must also keep a look out for the yellow Star symbols because four of these yellow Jackpot Stars will award you the smallest Wonder Jackpot attached to Geisha Wonders. Five Jackpot Stars, from left to right on one active bet line, will award the Mega wonder Jackpot, the biggest of the two. 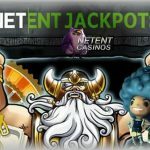 Both of the Wonder Jackpots can be tracked above the reels and pay handsomely, even though the amounts the Wonder Jackpots will pay out differ at every Netent Casino. But even if you aren’t a jackpot winner, I’m sure the geisha has some nice winning in store for you, but first it’s tea time! 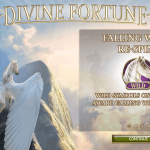 I don’t have to tell you anymore why I highly recommend the Geisha Wonders video slot as it’s not only the popular local jackpots that can be won while you are enjoying a nice cup of tea. And even If those jackpots are not your cup of tea, maybe the Wild, Scatters and Free Spins can be even as the relaxing atmosphere of the ancient tea garden. And by the way, what can go wrong as two Japanese traditions bringing you all the luck in the world as Maneki Neko, the lucky cat, is waving at you and the Laughing Buddha, nicknamed “Poe-Tai Ho-Shang”, can bring even more wealth, good luck and prosperity!